FRANKFORT, MICHIGAN–Every morning for about eight weeks each summer, Leslie Ritter becomes bait. As head of the lifeguarding program at the Congregational Summer Assembly (a vacation community in northwest Michigan), Ritter wades into Crystal Lake up to her knees. After 30 minutes she gets out and records wind and temperature data. If her skin starts to tingle, she knows something in the lake is after her—and swimming lessons are canceled. 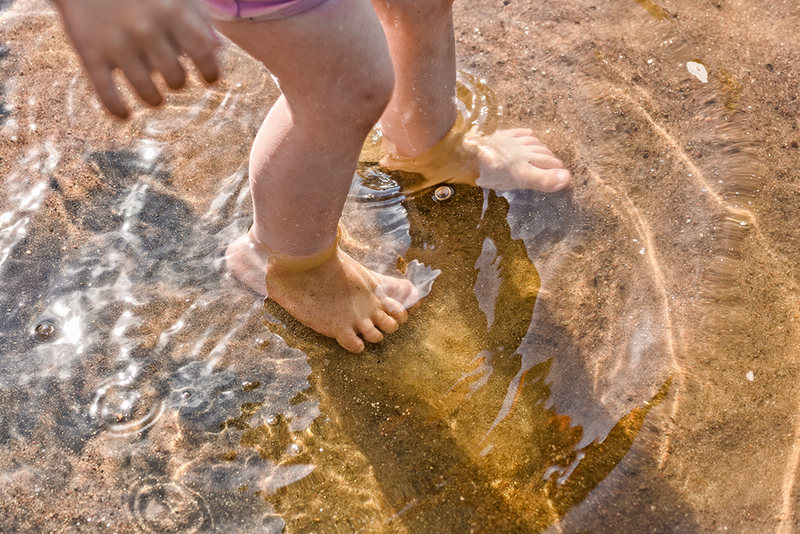 With summer looming and people heading for lakes and waterholes for a refreshing dip, those “little buggers” will again become, in parts of the U.S., a very big holiday nuisance. Few officials take swimmers itch (also called cercarial dermatitis) very seriously as a public health problem. But Michigan has taken the lead in battling it with research and control measures targeting ducks that act as hosts to schistosomes—near-microscopic, wormlike parasites whose larvae try to burrow into people’s skin. This can trigger an allergic reaction in the form of violently itching red bumps that characterize swimmer’s itch. 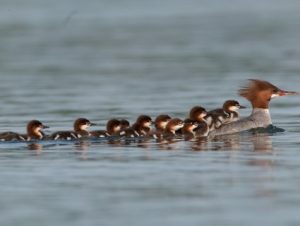 Thanks in large part to the MSIP’s lobbying, Michigan’s 2016–17 government budget has provided $250,000 toward trapping common merganser ducks—blamed for 95 percent of the swimmer’s itch parasites in the popular tourist lakes of northwestern Michigan—and releasing them in areas where parasites cannot reproduce. MSIP plans to help organize similar groups this summer in Wisconsin and Minnesota. Meanwhile, researchers are not only looking for creams that can help protect skin from the schistosomes but are also measuring how many of them are in the water at any given time. They hope this—along with collecting data including wind velocity and direction, and water and air temperature—will help scientists learn when the parasites tend to be more abundant. “Of course no one is crowing and saying this is a killer or this is a first-line public health problem,” says Eric Loker, a biologist at the University of New Mexico who spoke at last year’s MSIP conference. “But on the other hand it has never really gotten significant recognition for being something that should be more intensely studied including by clinicians and epidemiologists. We do not really know what the long-term implications might be,” he adds. Swimmer’s itch has been reported in 30 U.S. states, but much of the research over the years has focused on Michigan and the Midwest because Hope College emeritus biology professor Harvey Blankespoor first discovered in Michigan that mergansers serve as hosts for the T. stagnicolae. Blankenspoor’s son Curtis, a biologist at the UMBS, says although parasites that cause swimmer’s itch are ubiquitous across North America and Canada, 95 percent of U.S. cases are reported in the “northern tier” of states bordering Canada, from Maine to Washington. Many of those states have popular swimming lakes whereas in others including New Mexico—where Loker has found a handful of different schistosome species—lakes are often too marshy for good swimming. There is no evidence so far to indicate the schistosomes that cause swimmer’s itch have ever made it past the human epidermis, our outer layer of skin. “There is a high degree of host specificity—which means that the parasites are incredibly adapted to one species of host—so there is still not the right biochemistry or enzymatic reactions” with humans, Curtis Blankespoor explains. A number of species not found in North America—Schistosoma haematobium (in Africa and the Middle East), S. mansoni (mostly in South America, Africa and the Middle East) and S. japonicum (in Asia)—can cause the far more serious human schistosomiasis. Listed by the World Health Organization as a neglected tropical disease, in 2015 it is estimated to have affected 218 million people with symptoms including abdominal pain, diarrhea and blood in the stool. An estimated 20 to 25 percent of people have no reaction to a swimmer’s itch cercariae trying burrow into their skin. But for the majority who have the allergy, it can be a horrible experience, with symptoms ranging from hours of intense itching to red sores that cover the body for days and can lead to a low-grade fever and lightheadedness. “It is a parasitic worm that elicits the same type of response as when you have an allergic reaction to something like pollen or a bee sting,” says Patrick Hanington, an assistant professor at the University of Alberta’s School of Public Health. 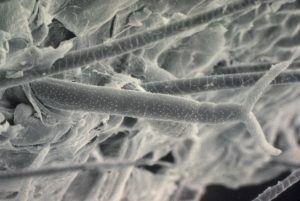 Evan Secor, lead research microbiologist at the U.S. Centers for Disease Control and Prevention’s Division of Parasitic Diseases and Malaria, says swimmer’s itch itself is not a major human health problem and that “there is no chance” the schistosomes that cause the reaction could become established in humans. Scientists in the Czech Republic, however, published research in 2012 indicating a particular species of avian schistosome in Europe could penetrate into lab mice and cause neurological problems. Meanwhile, this season researchers from Michigan’s Oakland University will be experimenting with protective creams, trying to determine which works best by using an artificial skin system and luring live cercariae. “The idea is to heat up the water bath to simulate body temperature so cercariae would be attracted to the surface and penetrate,” says Thomas Raffel, an assistant professor in the Department of Biological Sciences who is overseeing the research. There is anecdotal evidence that using creams that prevent jellyfish stings, or some insect repellents, can prevent cercariae from trying to burrow into the skin. Taking an antihistamine before entering the water may prevent a reaction. And starting in June on five northwestern lakes, Michigan’s allocated state funds will be used to capture ducklings and their mothers and transport them to the opposite side of the state where S. emarginatasnails are less abundant. Transplanting ducklings under eight weeks old means lakes like Crystal will not implant in their memories, so they will not come back to nest as adults. Researchers and biologists are unsure what implications, if any, climate change will have on swimmer’s itch. Some suggest incidence may increase as warming temperatures prompt more people to hit the water whereas others like Raffel have investigated how fluctuating temperatures affect cercarial release from infected snails. Warmer temperatures increase snail and parasite metabolisms, at least initially, resulting in increased production of cercariae.